Support Escalation Engineers provide deep technical troubleshooting skills for escalated issues that involve Microsoft’s technically complex or politically sensitive support situations. Achieve career growth and professional development through individual and team readiness. Drive the team/cluster level projects to improve CPE. Contribute to the efficiency and effectiveness of the business through excellence in execution. Contribute to Microsoft’s objective of growing market share across solutions, workloads, platforms and products. Works closely with the product team on some of the technical design issue and product changes. 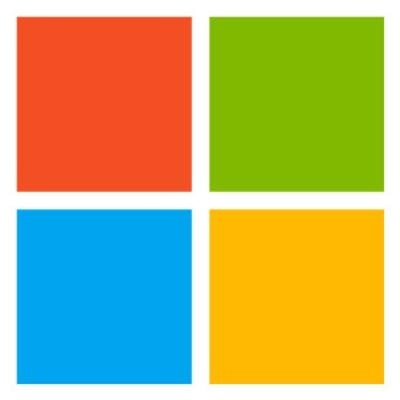 Represent Microsoft and communicate with corporate customers via telephone, written correspondence, or electronic service regarding technically complex escalated problems identified in Microsoft software products, and manage relationships with those customers. Manage not only the technically complex problems, but also politically charged situations requiring the highest level of customer skill. Receive escalated, technically complex mission critical or politically hot customer issues, and maintain ownership of issue until resolved completely. Solve highly complex level of escalated problems, involving broad, in-depth product knowledge or in-depth product specialty may include support of additional product line. Use advanced troubleshooting skills to analyse problems and workout solutions to meet customer needs; may involve writing code/scripts. Acquire & coordinate resources from other groups as needed to resolve customer issues. Key technical interface to Quick Fix Engineering (QFE) and Development for the resolution of high impact or pervasive issues effecting Microsoft's corporate clients. Act as technical leader, mentor, and role model for a team of engineers provide direction to others, review solutions and articles, mentoring existing & aspiring Tech leads. Partner with Managers on succession planning for Technical Leads for the business on a need basis. Knowledge Sharing Contribution Conduct regular or as required, technical triages and SDQF SME case reviews. Consult, collaborate and take escalations when necessary. Lead cross-technology virtual efforts with the product team to assess future needs. Drive the development and management of content for the team. Manage customer escalations and recognize when to solicit additional help. Participate in highest-level technical discussions with product team to resolve product issues and represent customer segments. Focus is on future need. Demonstrate ability to recover from dissatisfied-customer situations in collaboration with the team manager. Utilize effective verbal/written skills to communicate with customers and peers. This position has contact with Stakeholders, management and technical teams, premier, developers, program management, the press, other support vendors, and corporate customers. Candidate must be a strong critical thinker, and enjoy solving very difficult problems Strong experience in Current Microsoft® Server and Client and CLOUD platforms. Support Escalation Engineers are frequently involved with the highest profile issues, and therefore must be able to handle both pressure and complex situations. Candidates must also have strong customer service, accurate logical problem solving and communication skills, and the ability to work in a team environment. Programming and debugging skills | Power Shell skills are preferable. Prior knowledge of Windows Server and other networking products (preferred but not essential) If you enjoy being the problem-solver in the spotlight of critical problems, then this position will excite and challenge you.